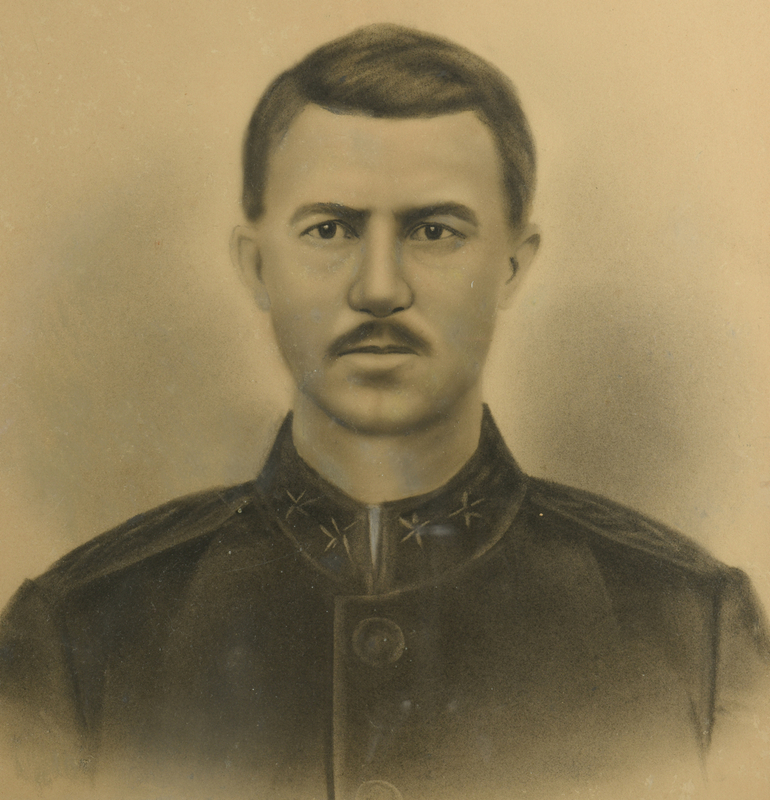 Charcoal on paper portrait of CSA General Thomas Benton Smith in his Confederate uniform, circa 1900. 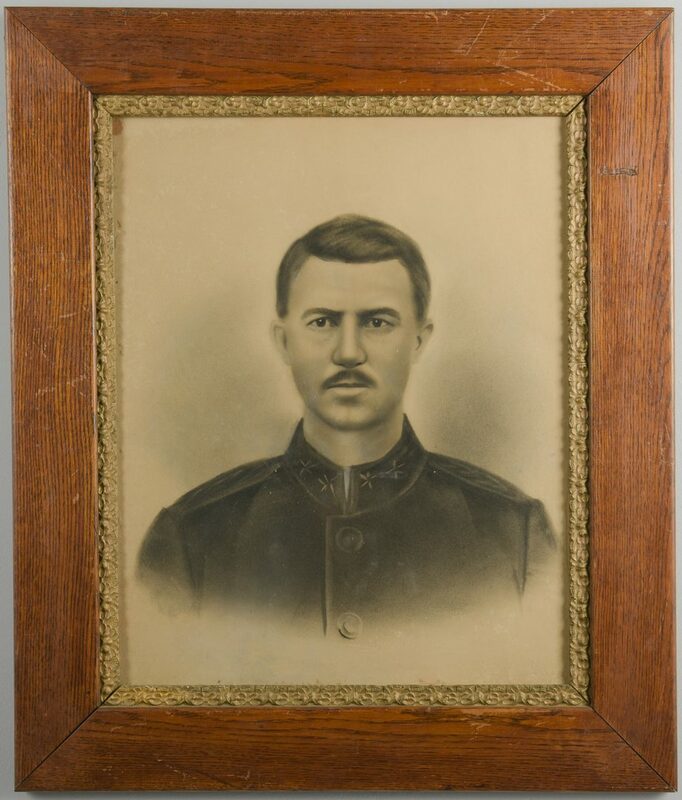 Smith, nicknamed "the boy general," is portrayed as a young man, suggesting this image may have painted from a tintype. Antique oak frame with giltwood floral molded rabbet edge. 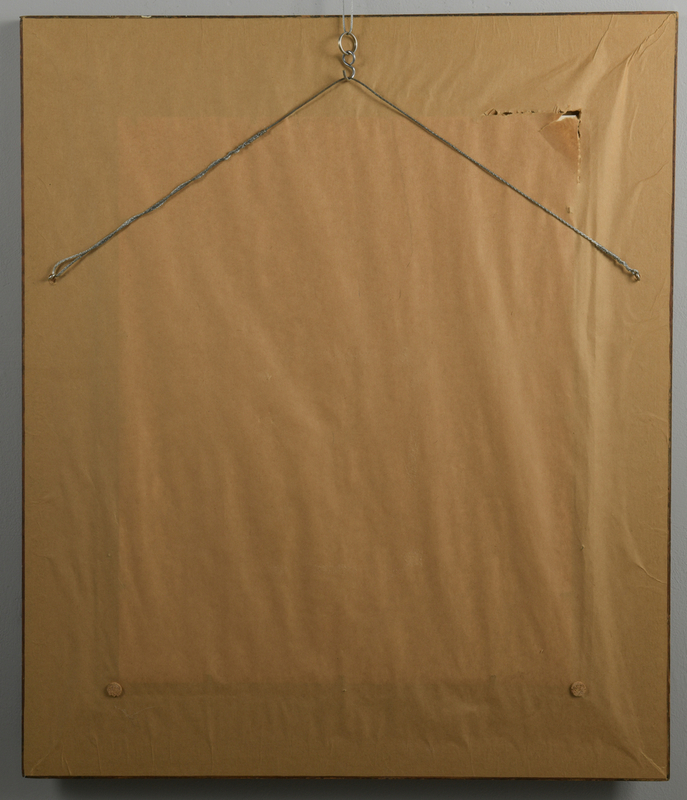 19 1/2" x 15 1/2" sight, 27" x 23" framed. 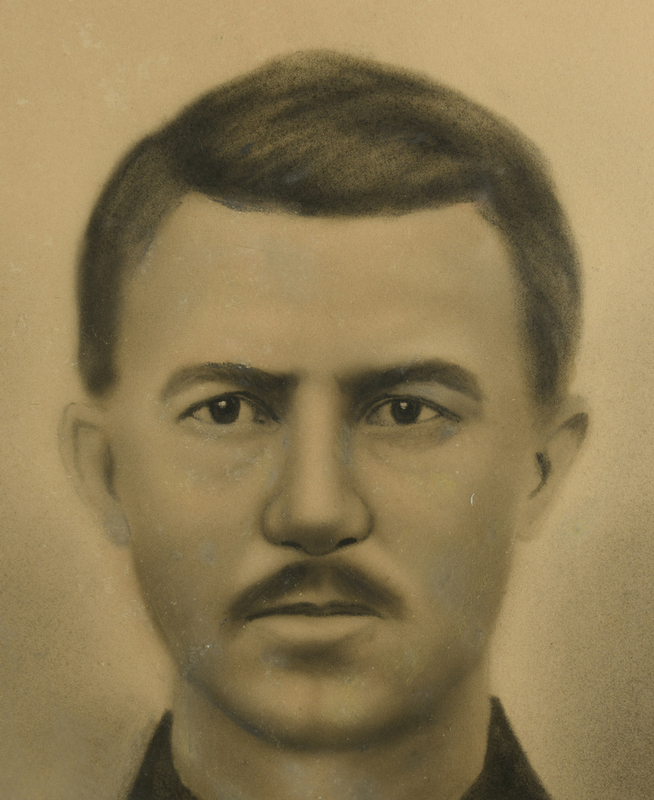 Smith was born 1838 in Rutherford County, TN. 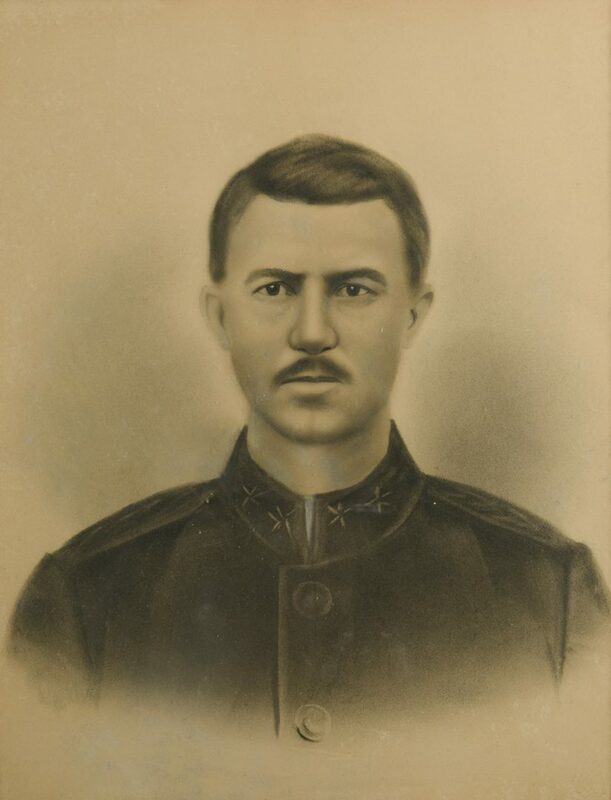 Smith attended the Western Military Institute at Nashville and worked for a railroad prior to the outbreak of the Civil War. He raised a company of volunteers from the Triune area which eventually became Company B of the 20th Tennessee Infantry. At Shiloh, the regiment suffered a 50 percent casualty rate and the capture and imprisonment of Col. Joel Battle. The company was reorganized a month later with Smith elected as their new Colonel. They went on to fight at Murfreesboro (where Smith was shot through the chest and arm), Chickamauga, Missionary Ridge and Atlanta. In 1864, at the age of 27, Smith became the youngest brigadier general in the Army of Tennessee; a short time later, he led his men in the battles of Franklin and Nashville, where he sustained a serious head wound from a Union commander's saber during his surrender. That head injury was blamed for the mental disturbances Smith suffered later in life; he returned to railroad work after the war, but eventually had to be institutionalized. He is buried in Mt Olivet Cemetery in Nashville. Provenance: Middle Tennessee collection; acquired from members of the Benton Smith family more than 50 years ago. CONDITION: Some foxing to left edge. General toning. Scattered white spots to face and background.